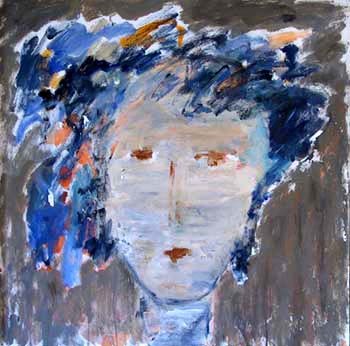 "Harriet Wiseman's understated portraits suggest deeper meaning.a"
"...engaging whimsical eye...There's charm here. ...a weathered quality can easily suggest a kind of provincialism..."
"...Wiseman's subject matter...always compelling. Her painting style is unique." "...Her subjects have a winsome quality. Wiseman skillfully shares her empathy for her subjects in her work. We know these women. They are grandmothers and aunts, sisters, mothers - all looking out to us. Sometimes they are quite humorous, other times somber - always compelling." "Therapy lets Wiseman find the artist within."